Austin is known for its bright weather and mild temps– but don’t be bummed out if the weather is less-than-perfect. From catching quirky a film to learning about Texas’ wild history, there’s plenty to do in Austin when clouds roll in. 1. 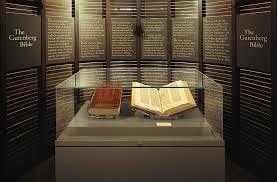 Gaze upon the first photograph and a Gutenberg Bible at the Harry Ransom Center. One of the most under-appreciated rainy-day activities in Austin is the Harry Ransom center on the University of Texas campus. The Ransom Center is located near the UT Tower on the 40 Acres, and holds a stellar collection of art and artifacts. Notable pieces include the first photograph, produced in 1826 in France, and one of just 48 Gutenberg Bibles, which was the first book replicated on a printing press. While you’re there, be sure to check out the free temporary exhibits in the main gallery— the current exhibit, Vaudeville!, catalogs a history of the art form and will be up until July 15, 2018. 2. Laugh the night away at the Fallout Theater. Austin’s stellar comedy scene has attracted funny folks from all over the world. 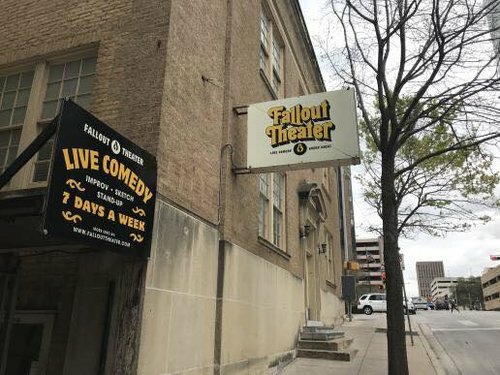 Find out what the buzz is all about at the recently rebranded Fallout Theater on Lavaca, where you can see improv, sketch, and stand-up comedy seven nights a week. Popular shows include F*ck This Week, an improvised illustration of an audience member’s dismal day, Basement Brawl, a multi-week improv tournament with the top troupes from all over town, and Sandbox, a showcase of some of the most bizarre experimental comedy in Austin. Feeling funny? Attend a free improv class—details can be found on the Fallout website. 3. 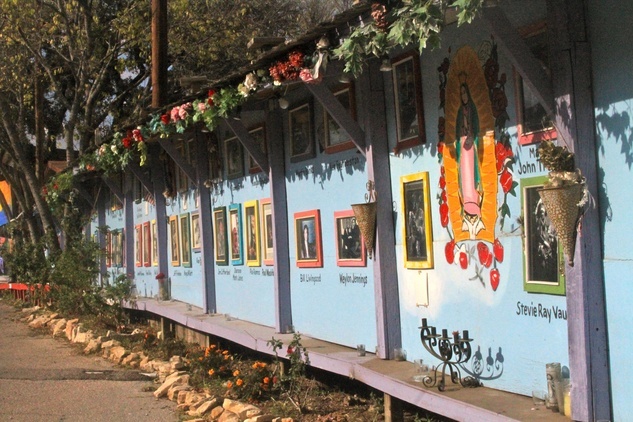 Find out what made Austin weird at the South Austin Museum of Popular Culture. At the South Austin Museum of Popular Culture, 1970s poster art and cultural icons come together to form one of the most interesting collections in Austin. The museum has become the go-to place for Austinites looking to donate their poster collections, so you’ll find some incredible rock posters inside the museum’s walls. Don’t expect a traditional museum experience— SouthPop is attached to a local head shop, and funky murals by one of the museum’s late founders, Henry Gonzalez, adorn the exterior walls. Be sure to check hours on the museum’s website before you come, and keep an eye out for the Memorial Wall— every Dia de los Muertos, SouthPop celebrates Austin culture makers who have passed away with an addition this handmade labor of love. Still curious? Find out more about Austin music and popular culture on one of our music tours. 4. 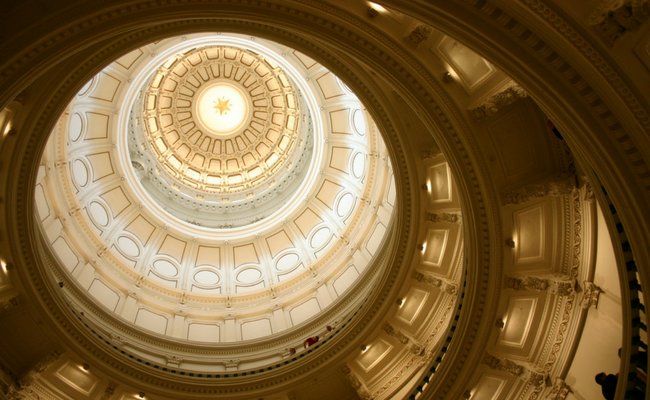 Learn about the Lone Star State at the Capitol Building. Texans are awfully proud of our state’s short tenure as the Republic of Texas. The Capitol Building is perhaps the best illustration of that pride— at nearly fifteen feet taller than the US Capitol Building, the Texas State Capitol is a popular attraction for tourists and locals alike. Entry and interior tours are free, and the stunning rotunda offers a top-notch Instagram opportunity. When you arrive at the portraits of past governors, notice that several of the governors are actually “presidents,” given that they served between 1836 and 1846 when Texas was a sovereign nation. After your walk through the Capitol, meet us outside for one of our downtown tours, where you can learn all about Austin’s early history. 5. Cozy up with a hot bowl of ramen. So you had egg tacos for breakfast, brisket tacos for elevensies, and free-range tofu tacos for lunch— what else is there to eat in this city? Thank your deity of choice for Ramen Tatsuya, an Austin-based ramen bistro from local chefs/DJs Tatsu Aikawa and Takuya Matsumoto. 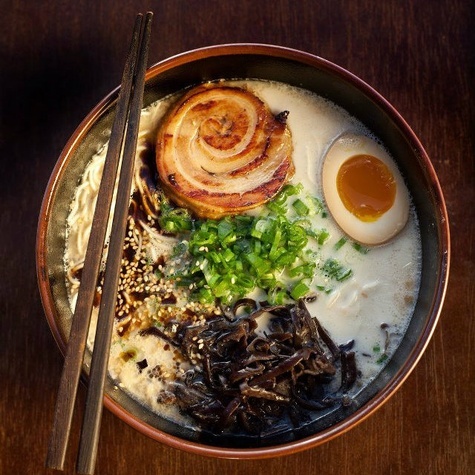 Ramen Tatsuya was voted Best Ramen Restaurant in America by Time Out magazine and recently became a semifinalist in the 2018 James Beard Awards. Make sure to get an extra egg! 6. Attend a special screening at the Alamo Drafthouse. Austin’s own Alamo Drafthouse now boasts 29 locations across the country, but it hasn’t lost the charm that made Austinites fall in love with it in the first place. 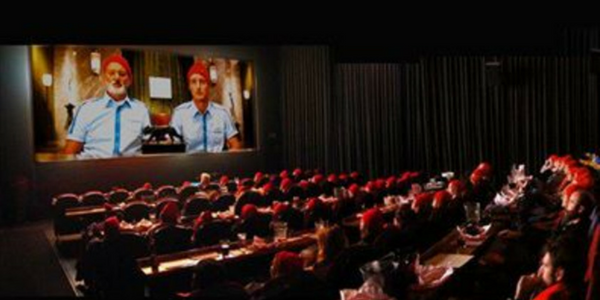 At Alamo Drafthouse, patrons sit in plush chairs and enjoy full restaurant and bar service during the film. Alamo is known for it’s ultra-strict No Phones policy, so you won’t miss anything because someone’s Snapchatting their hairdresser. Special screenings, like a Mean Girls quote-a-long and a Selena dance party, keep Alamo in the running for best theater chain on the planet. 7. Get toasty with s’mores at Halcyon. What better way to hide from the rain than with a glass of wine and a personal campfire? Downtown coffee shop Halcyon provides a flame and all the fixings with their s’more dessert. Don’t worry about remembering any campfire songs— Monday night’s World Music Jam provides all the entertainment you need with some of the best world musicians in Austin. 8. 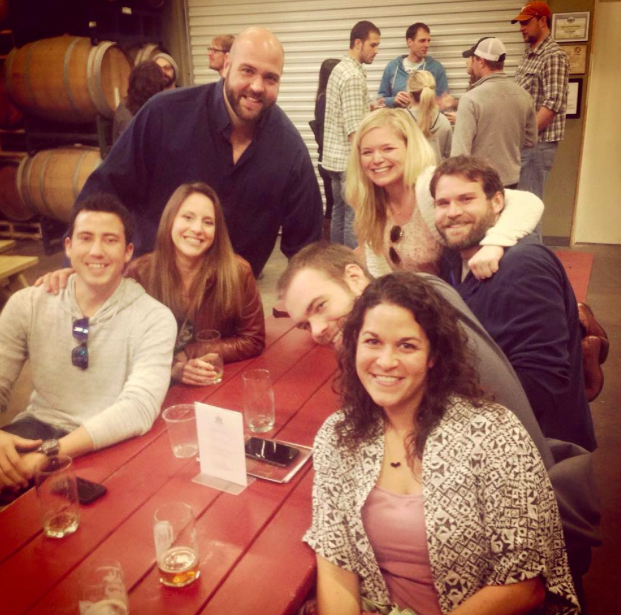 Taste some of Austin’s best beer at Hops and Grain Brewery. Austin’s craft beer scene has garnered some well-deserved national attention in recent years. Hops and Grain Brewery is a mainstay of that scene, and for a good reason. 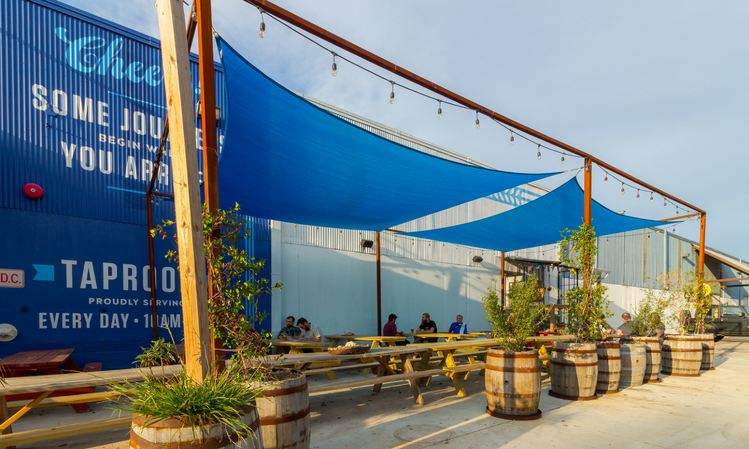 The brewery’s bright, welcoming taproom in East Austin is perfect for catching up with old friends and making new ones over a pint. Hops and Grain has mastered all different types of beer, but this tour guide is a big fan of the Zoe, an easy-drinking pale lager that is the perfect blend of tart, crisp, and hoppy. 9. Take a Tipster Tour! Tipster guides walk rain or shine— if it’s on the schedule, we’ll be there. Grab an umbrella and join us for a Downtown Tour, Music Tour, Beer Tour, or Eastside Art Tour! 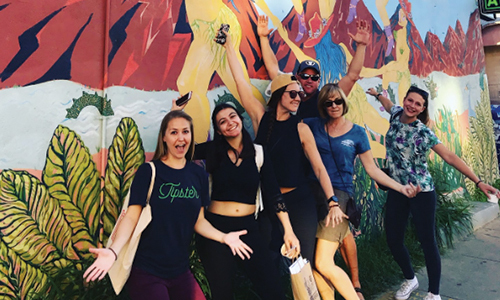 There’s no better way to learn about Austin’s culture and history than by taking a walk with a passionate Austin local. After your tour, Tipster guides will be able to give you more rainy-day suggestions. See you there!